Some details have been released about a forthcoming event planned for November 9 and 10, provisionally called Central Rally Aichi. 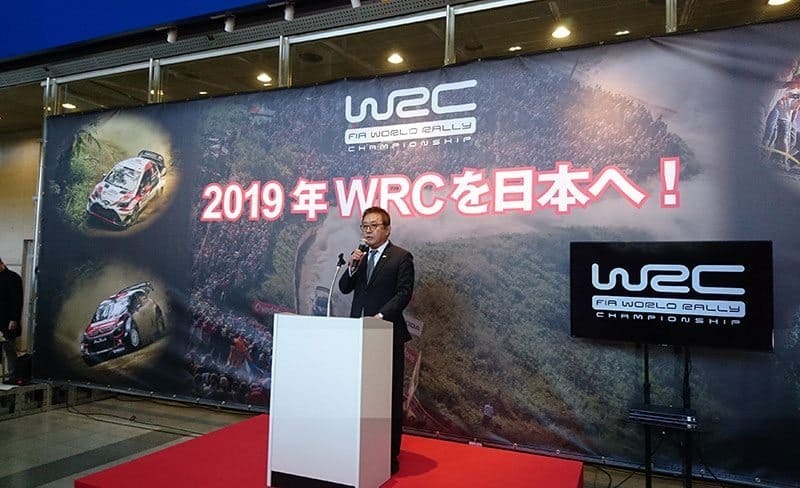 This is to be a “non-championship international Test Rally Event” organised by the WRC Japan Round Bid Committee, which is part of the SAN’s publishing group who are the Promoters of the project. This is to be held one week before Rally Australia, hoping that WRC personnel will be able to inspect the event. It will be in the same region as last year’s Candidate Shinshiro Rally, but 98% of the route is said to be new. It was stated at last weekend’s Press Conference (attended by FIA’s Yves Matton and WRC Promoter’s Oliver Ciesla) that the FIA’s plan for 2020 is to have eight rallies in Europe and six long-haul events – the four to be run in 2019, plus Japan and Kenya. The 2019 event will be for training purposes.